Combine Photoshop and After Effects like never before and create this extremely dynamic newspaper ink special effect without needing to acquire any professional skills. Creating this sort of art from scratch is a very tedious task which could take days if not weeks to actualize. 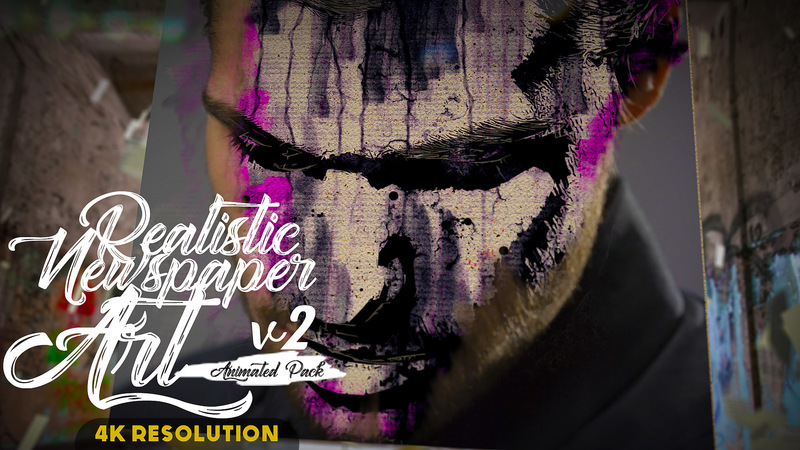 With this animated pack, you can create one of the best 3D scene projections, move paper afloat within 3D space, completely edit the presentation newspaper including the Photoshop action embedded on the artwork. Possibilities are limitless. This package has made is easy yet keeping it very advance. Get it now and see the difference – brought to you by Mr Charles Brown. Determined to give you nothing but the best!